If you're interested in experiencing augmented reality on Android, you have very few options. 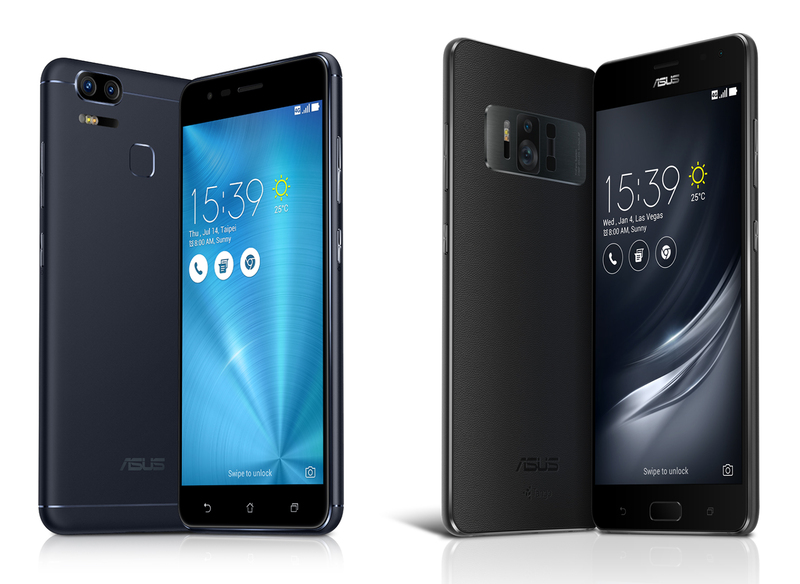 The ASUS ZenFone AR is one of them. We reviewed it back in August and came to the conclusion that it's not a bad phone. 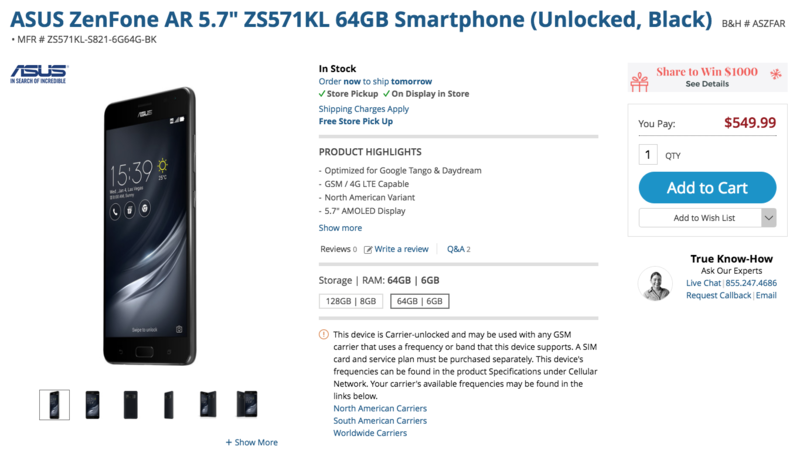 Now you can pick one up for $499.99, $100 off its MSRP, on Amazon. 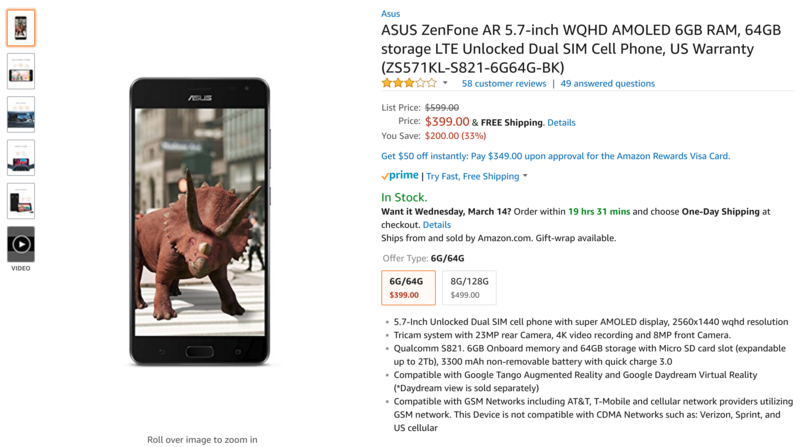 ASUS isn't traditionally a manufacturer of expensive or interesting phones, but the ZenFone AR satisfies both of those characteristics. At $699 in the top spec, the Tango-equipped ZenFone AR was (and is) a tough sell. 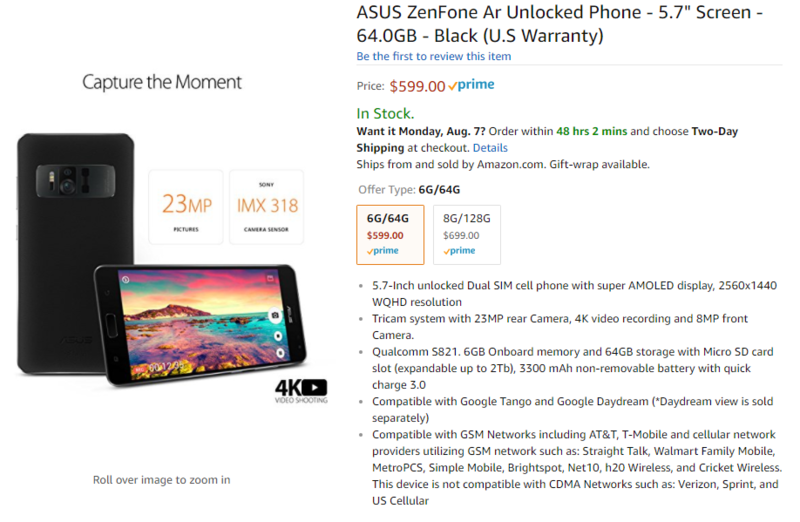 But if you were interested in the 6GB RAM/64GB storage version, you can now score one for $50 off MSRP from a few retailers. Mobile VR hasn't really taken off, and Google's augmented-reality Project Tango experiment is in the same boat. The first publicly-available phone with Project Tango, the Lenovo Phab2 Pro, launched last year. If you read our review, you'll know that the massive size, poor performance, and price made it a hard sell even for VR/AR enthusiasts. 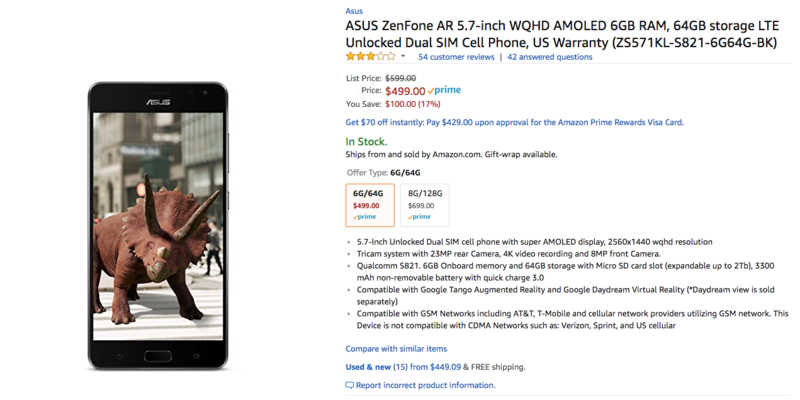 Unfortunately, the upcoming Tango-powered ZenFone AR already has a major flaw; it will be a Verizon-exclusive in the United States. 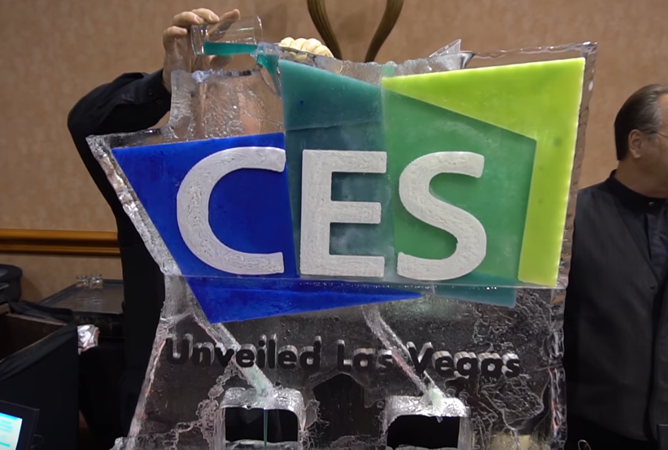 Asus is announcing two new smartphones at CES, and each of them is notable for different reasons. There's the ZenFone 3 Zoom (left), which as the name implies, has optical zoom. 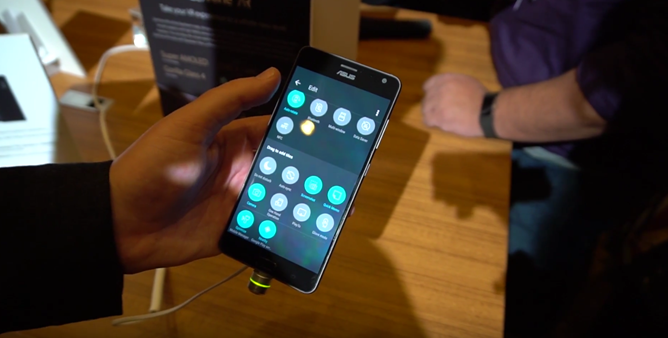 Then there's the ZenFone AR (right), which was leaked by Qualcomm's site a few days ago.